Empathy is an interpersonal skill that can be viewed as part of emotional intelligence. Psychotherapist Carl Rogers wrote that empathy could enhance relationships and recommended it for ordinary people particularly politicians and therapists. 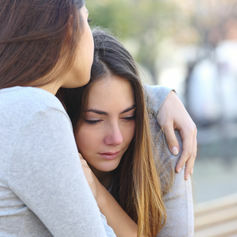 In its most complete form, empathy involves understanding the emotion of another person, feeling the emotion and responding appropriately to it. These three aspects of empathy constitute empathic cognition, emotions and behaviour. Labels: Australia, England, Opinion, Strange but true?